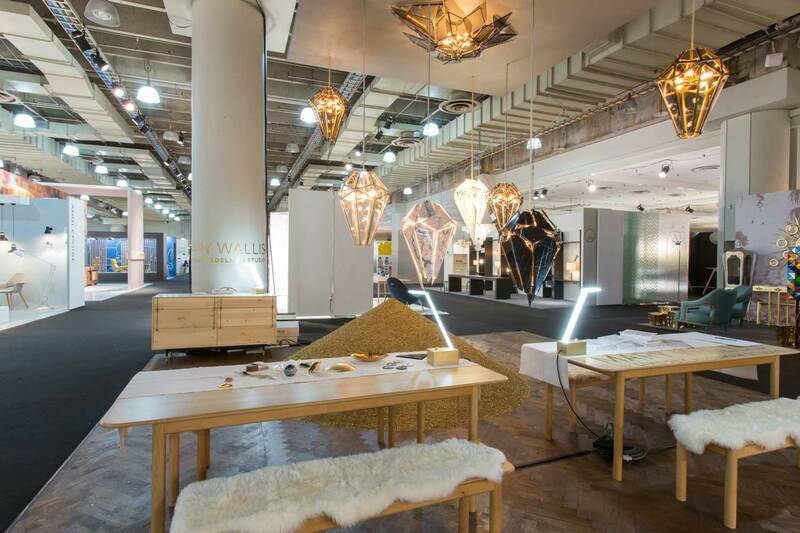 Event Report: NYCxDesign Week 2015. Words by Rachael Fry for Yellowtrace. 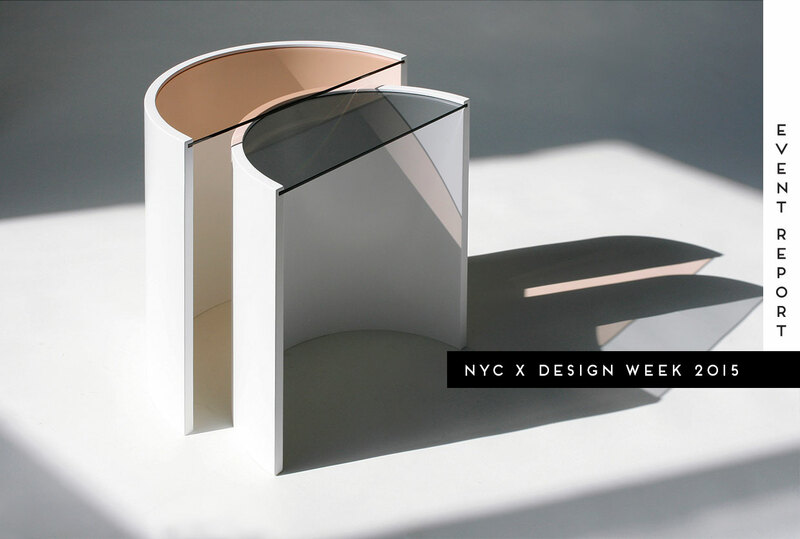 NYCxDesign Week is, for me, similar to the experience of opening a crackerjack box. Wait, just a thought – Australians, do you actually know what these glorious little boxes of joy are? Every kid in America dies for a chance to open one of these bad boys. You begin by devouring the combination of molasses candy-coated popcorn and peanuts, which always results in a stomach ache, definitely worth the suffering; and hidden somewhere in that little box is a prize that you treasure. You see, at NYCxDesign Week, one must sift through the sugar-coated fluff, to the extent that you cannot stomach another bathtub or faucet ever again, to marvel at the discovery of true gems. And, instead of only uncovering one prize this year, I had the experience of a treasure trove. 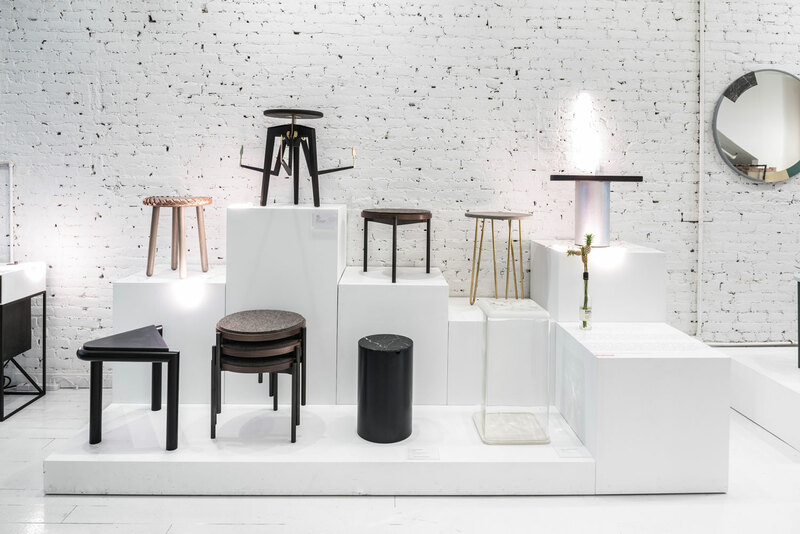 The prizes this year were scattered across a few different venues and satellite shows, such as the infamously trade-y trade show ICFF, the art-meets-design Collective Design Fair, the curated Sight Unseen Offsite…and the list goes on. I will admit upfront, I didn’t see everything — it was physically impossible. I did, however, see some incredible things which I will share with you right here—you lucky little thing! ICFF was my first stop and I went straight to the Apparatus booth. In only three years of being a lighting company, Apparatus has been a constant crowd-pleaser at the fair and this year was no exception. 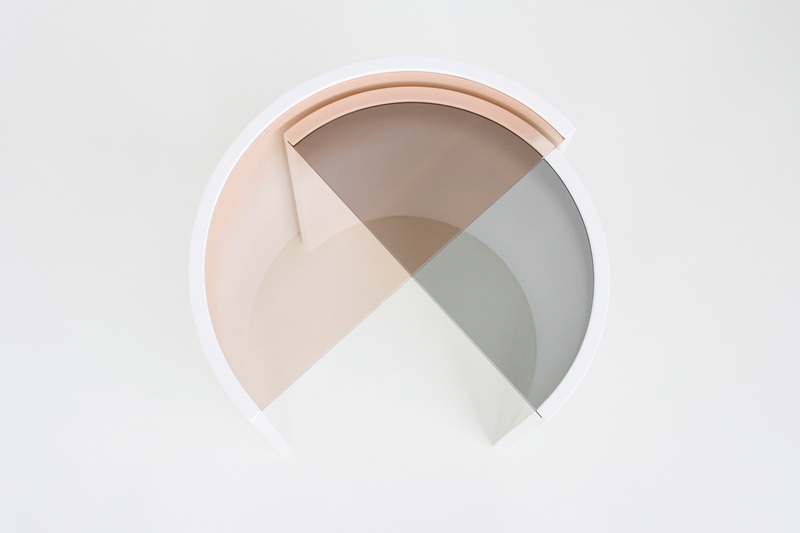 The studio created an elaborate world of blush-coloured archways and interlocking spaces reminiscent of an ancient Mesopotamia—a true oasis in a trade show like ICFF. 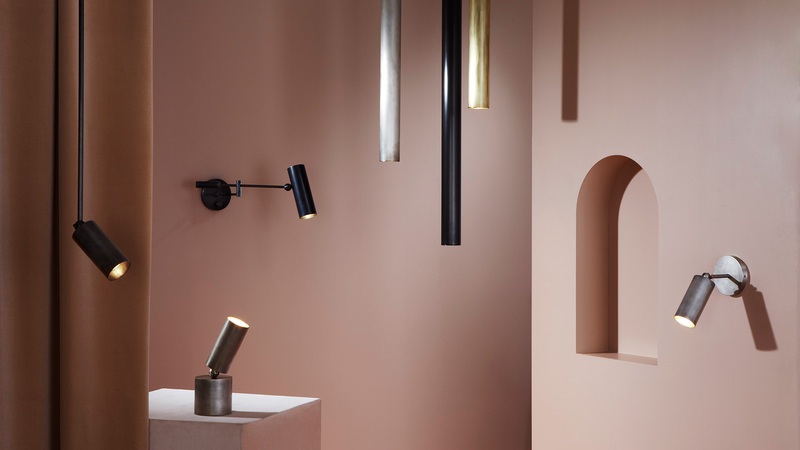 Renowned for their timelessly modern chandeliers, Apparatus surprised everyone this year by presenting, amongst other new products, the cylinder series—A directional and functional lighting series that is finished inhouse and personalises utility lighting. Bec Brittain, in a backdrop of a magical jungle world, added two new lines to her collection this year at ICFF in addition to adding to existing work—where do they find the time?! 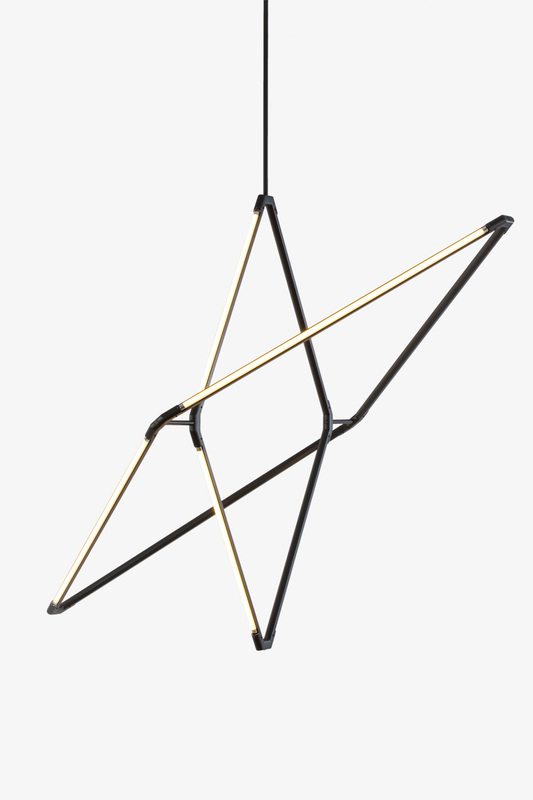 The Zelda line is based on the simplicity of the diamond structure and was shown in three different configurations—Zelda, Zelda Orbits and Zelda Links– displaying Brittain’s skill in combining scale, geometry and industrial elegance. 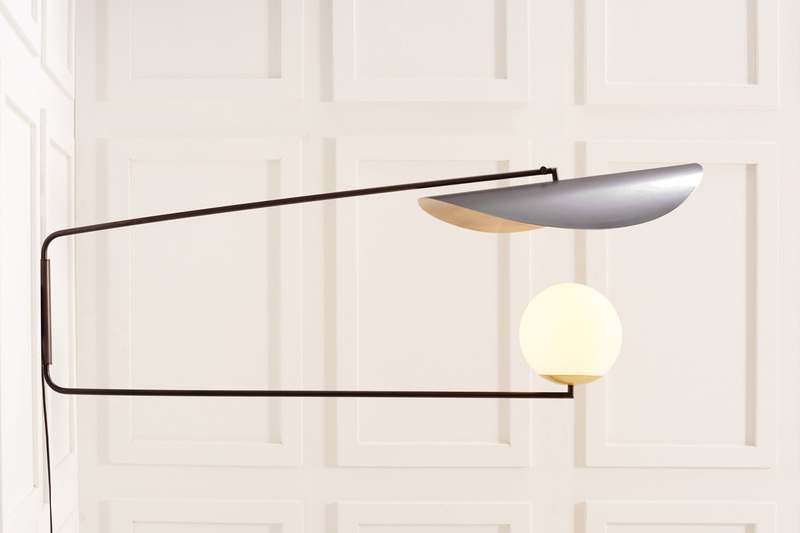 The Mary Wallis collection for Lindsey Adelman Studio showed the razor-sharp luxury of the Edie series—a series of wall and suspended lighting presented above a large conical mound of brass shavings on the studio floor. The new black and white marble finish of the Edie Chandelier was a personal favourite. The new Cylinder Series by Apparatus. Available through CRITERIA. The new Zelda Series by Bec Brittain. Available through CRITERIA. The new Eddie Series by Mary Wallis for Lindsey Adelman Studio. 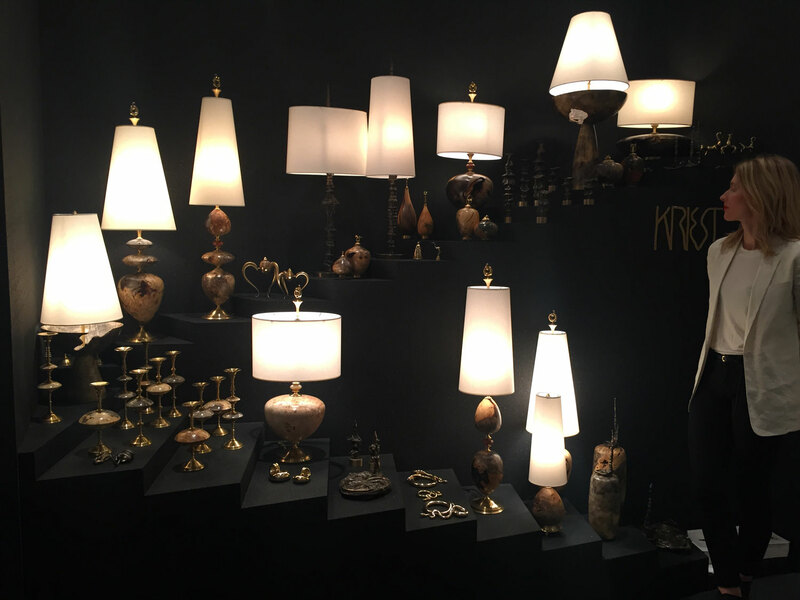 Kriest, aka interior designer and artist Kristin Victoria Barron, showcased a combination of old and new works based on her dream sequences. 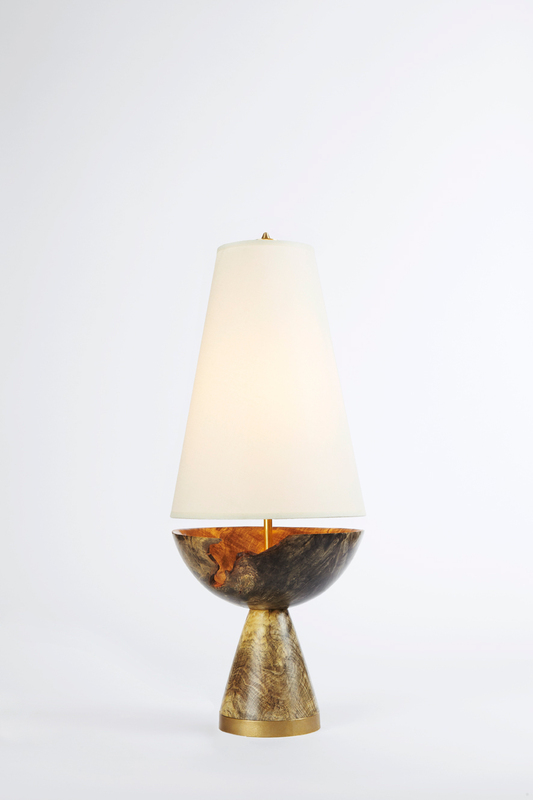 The Cenotaph Lamp Collection was particularly beautiful—made from turned brass, cast bronze and Aesculus burl, which is slabbed and aged before being turned by artisans in United States. Anna Karlin’s wonderful world of Memphis-sprinkled fantasy included furniture, objects, lighting, and textiles all manufactured in NYC by the charismatic interior, product, graphic and set designer. If that wasn’t enough, there were two other designers that really impressed: Materia Designs and Souda. 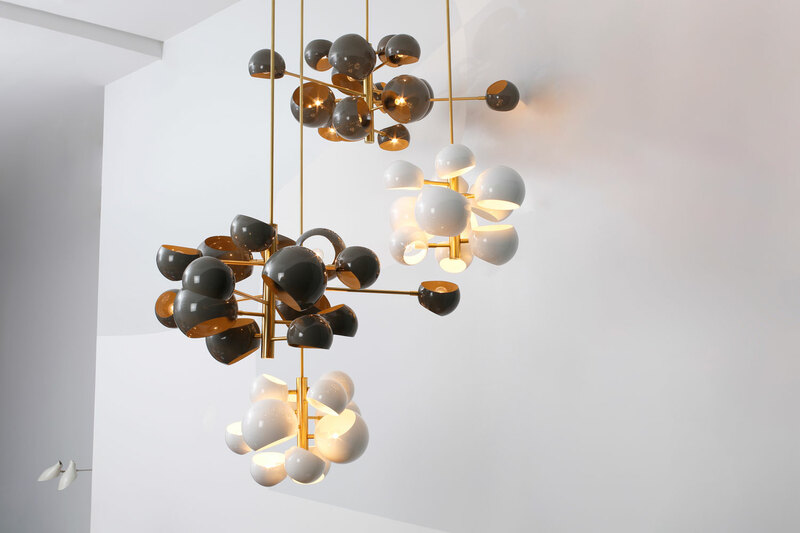 Each released new and interesting lighting collections—Materia was inspired by asymmetrical barnacles in nature and is the product of a recent collaboration with Andrew Molleur. Souda focused on a retro-modern vibe with their new Signal Series, which was adapted to pendant, table, wall and floor lighting. 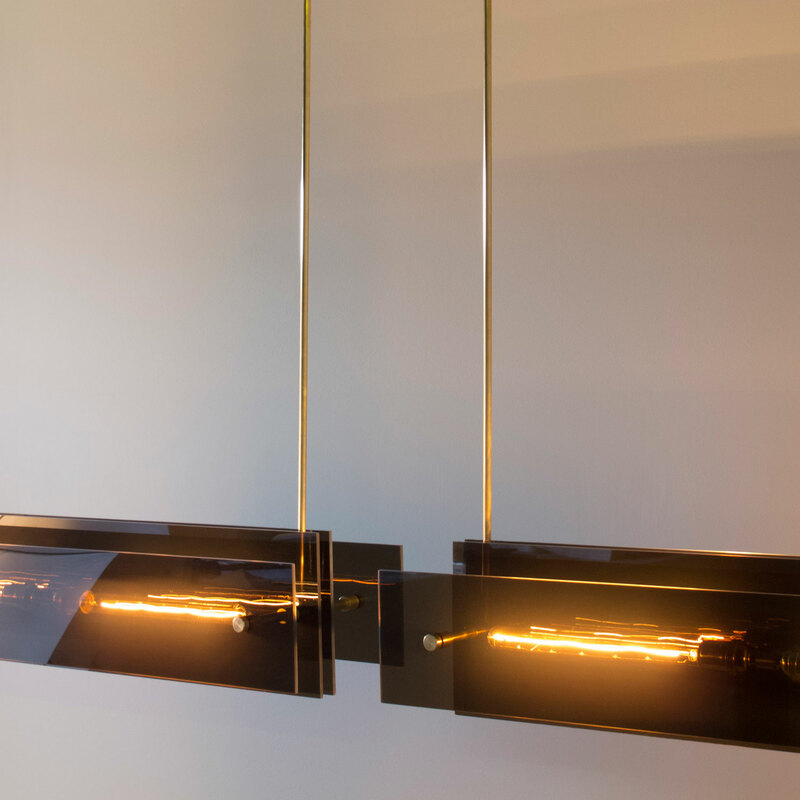 The Cenotaph Lamp Collection by Kriest. 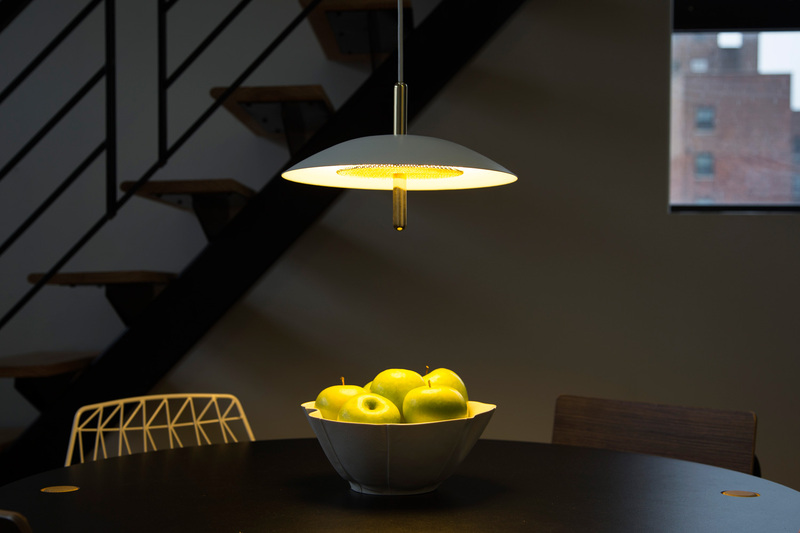 The Sunshade Pendant by Anna Karlin. 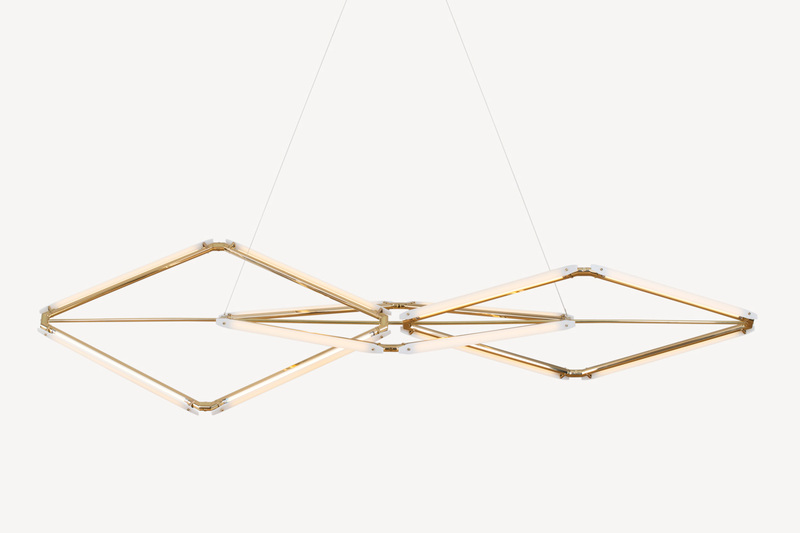 The Forchette Chandelier by Materia Designs. 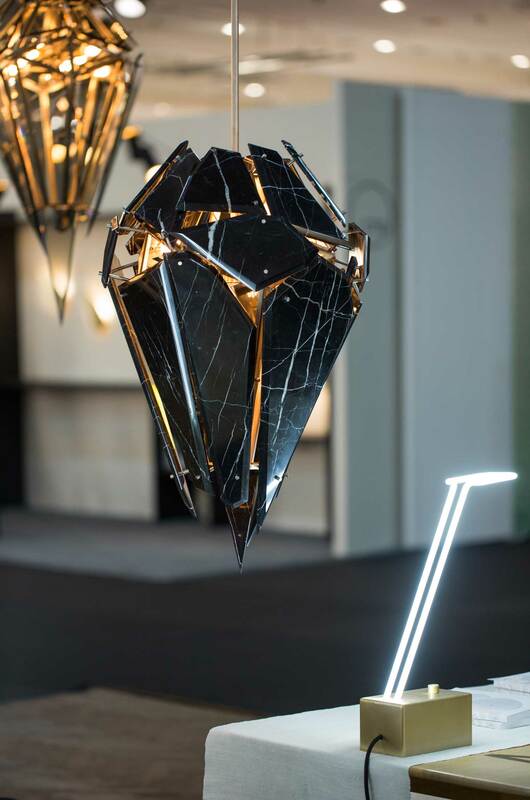 The Sheets Chandelier by Materia Designs. 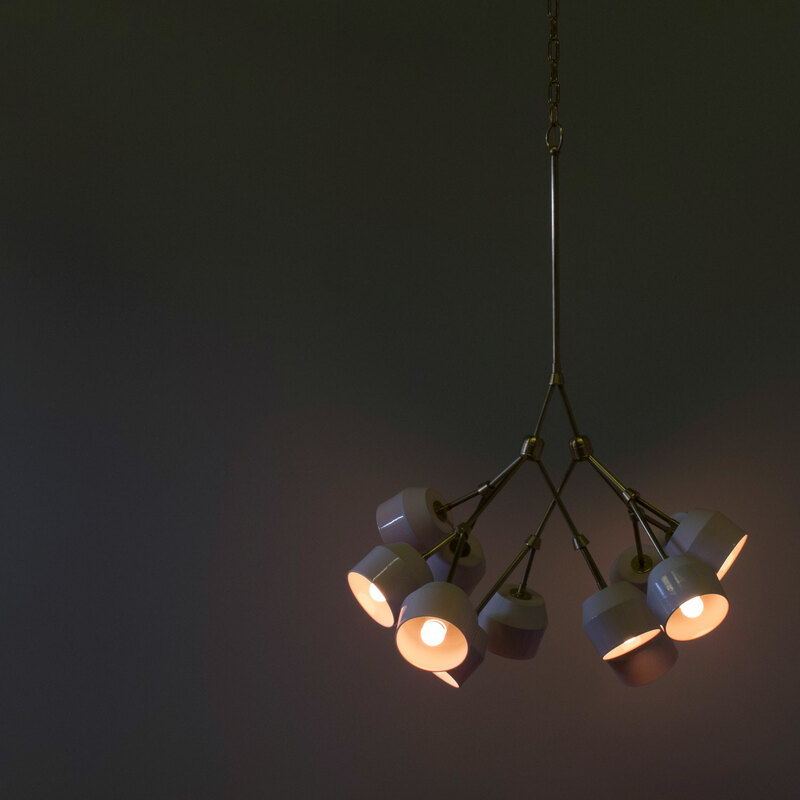 The Signal Lighting System by Souda. Available through CRITERIA. As you may have guessed by now, I have a particular penchant for lighting—which is true, but it’s not my fault. 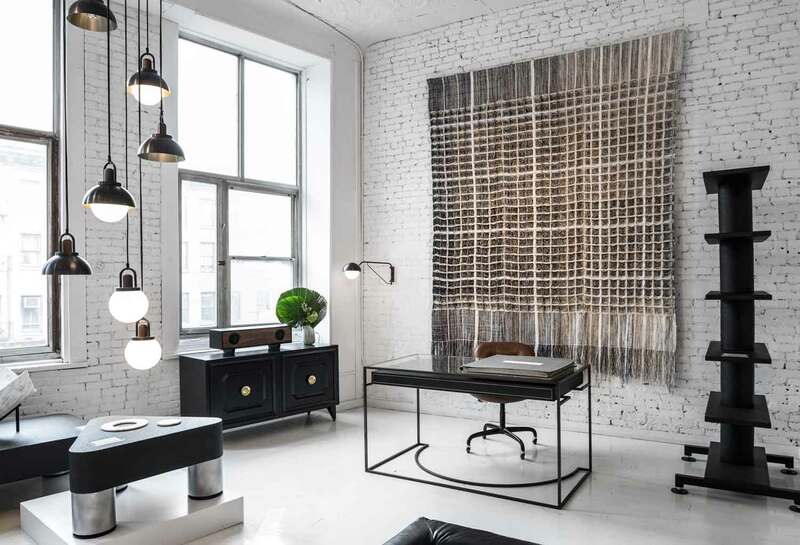 NYC happens to be a breeding ground for exceedingly talented lighting designers who have won me over with their original concepts and experimental materials and forms. I won’t digress too much with trying to explain my passion. 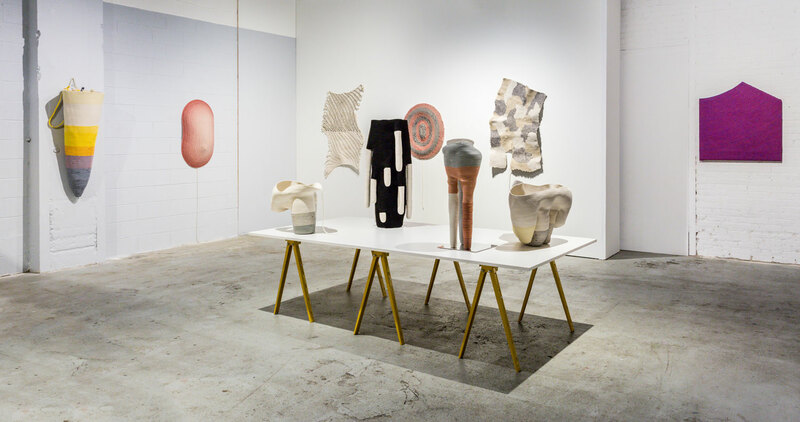 Let’s get back on topic; a hop skip and a jump from ICFF was this year’s Sight Unseen Offsite curated by Monica Khemsurov and Jill Singer, the former editors of I.D. Magazine. I must say, their taste is impeccably cool and never ceases to impress. This year it was held over two floors of a warehouse building filled with up-and-coming and established designers/makers/artists. Among the best in show was LA-based design duo Brian Hurewitz and Mimi Jung of Brookandlyn with their Rounded Metal Planters made from spun steel and textured metallic glaze in beautiful rich colours (scroll down to see Mimi Jung’s incredible woven works from the Sight Unseen Pop-Up at the Collective Design Fair). A fan favourite, Print All Over Me, showed a new living room by a different illustrator each day with assorted furniture and objects curated by the team at Sight Unseen. 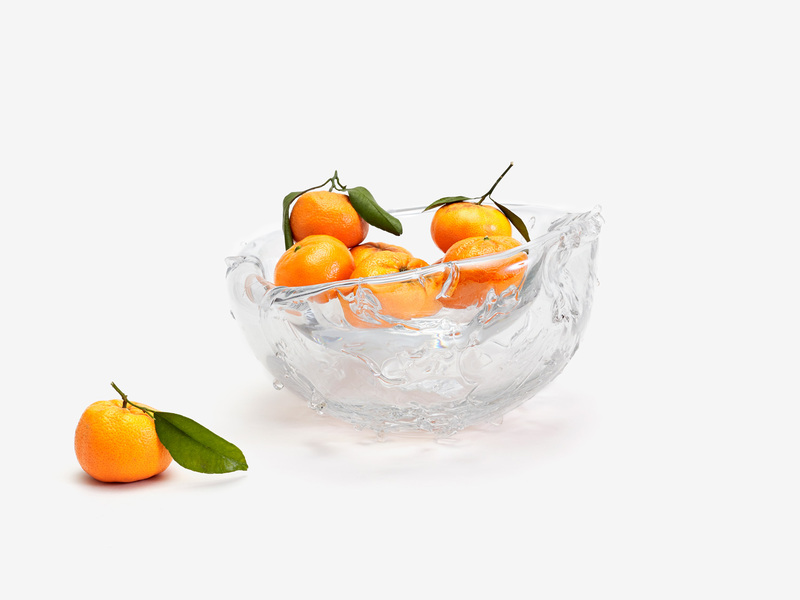 The new 2x Glass Bowl by interdisciplinary design studio, Assembly Design, was an exercise in delicate complexity, while in the spirit of its namesake, design studio Bower focused on the graphic, linear and material exploration of their new Contour Tables and Line Mirror. 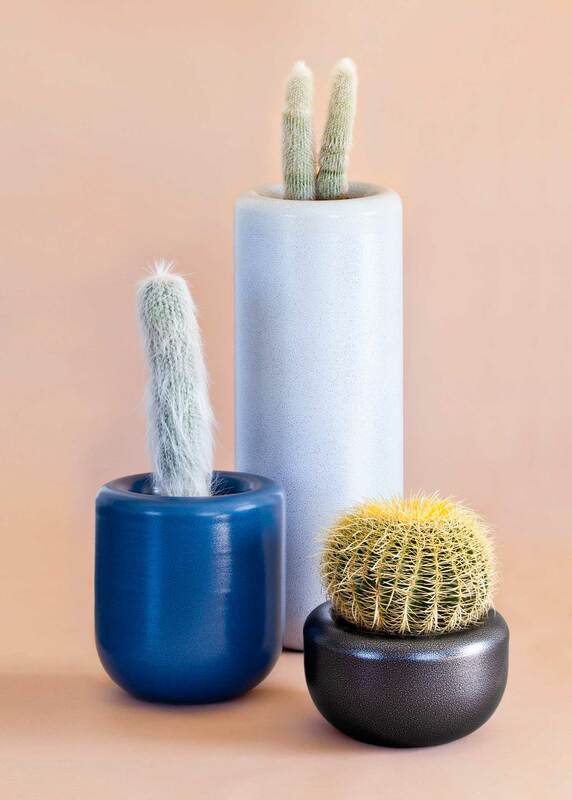 The Rounded Metal Planters by BROOK&LYN. 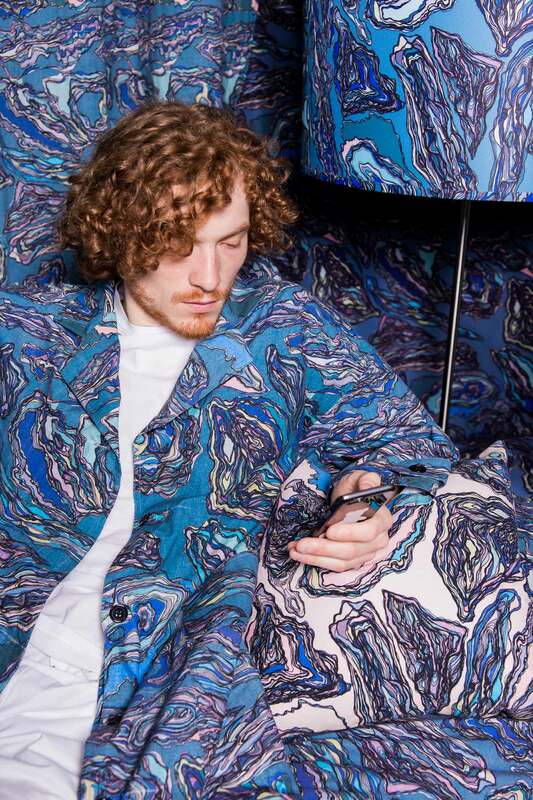 The Print All Over Me x Sightunseen collaboration. 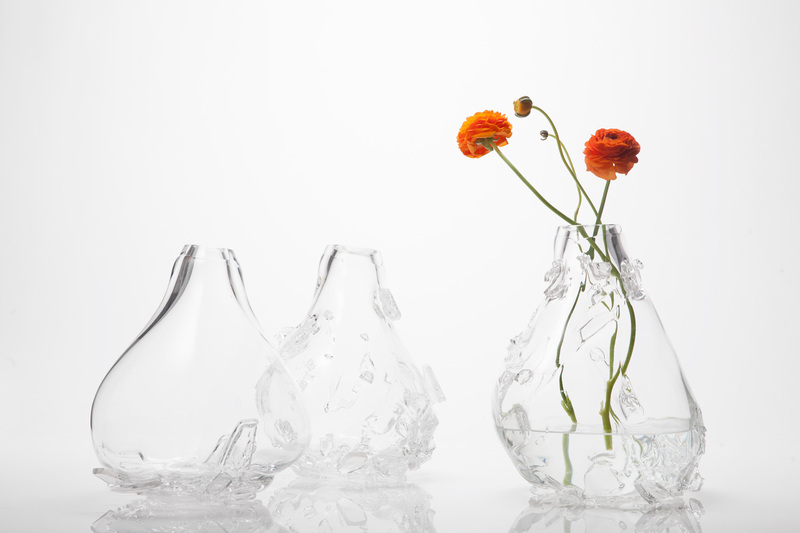 The 2x Glass Bowl by Assembly Design. Available through CRITERIA. 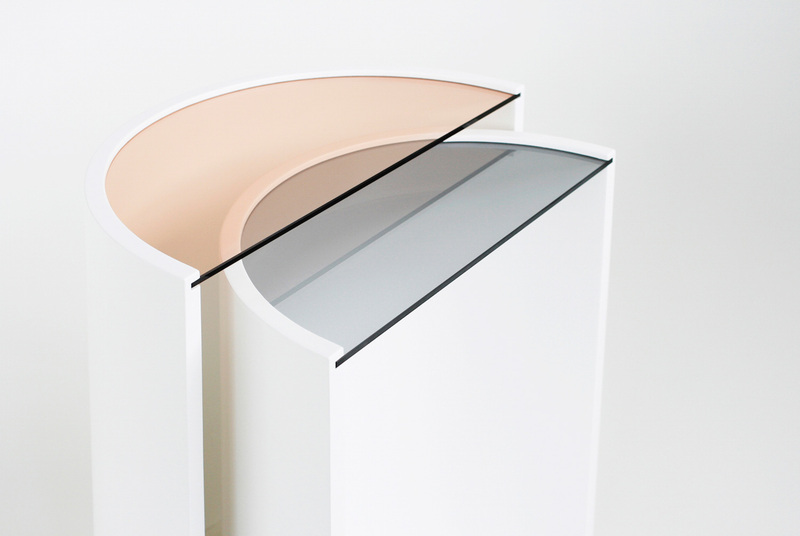 The Contour tables by Bower. 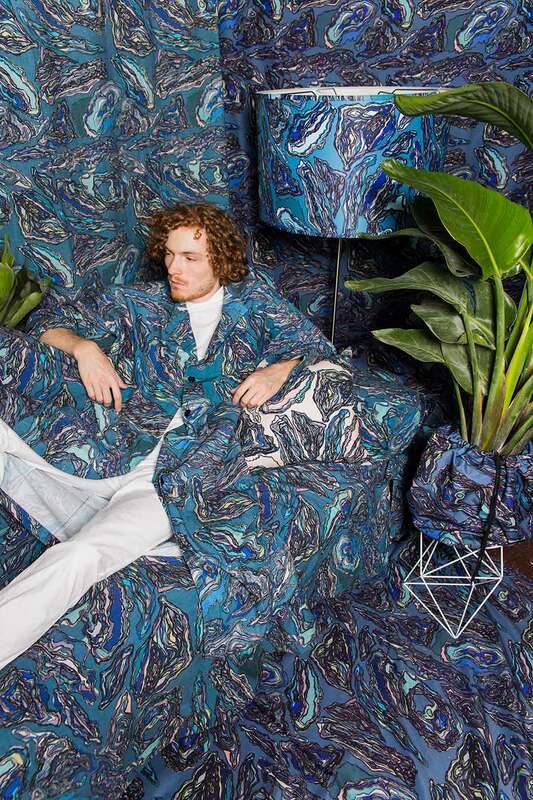 Another staple in the NYCxDesign week diet is the Collective Design Fair. 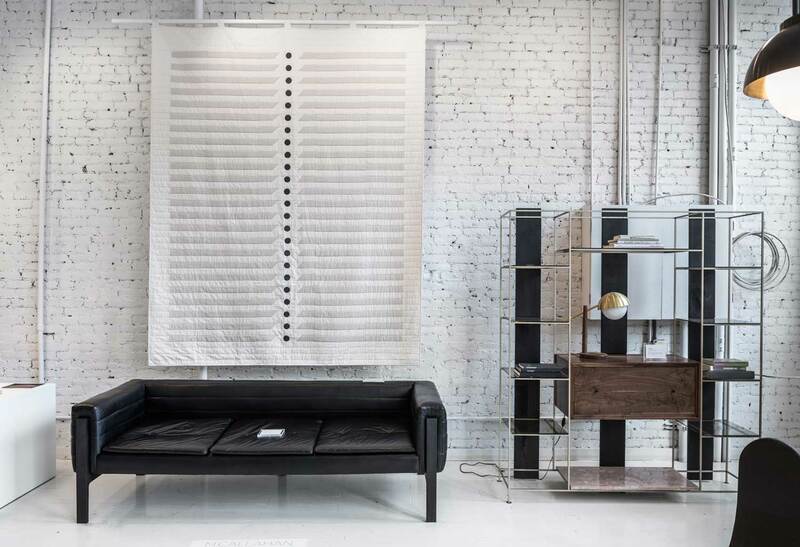 It is to furniture design what a haute couture show is to fashion—it displays some of the most incredible handcrafted and vintage works by the likes of Wendell Castle, the Haas Brothers, Ettore Sottsass, the Campana Brothers and many more. 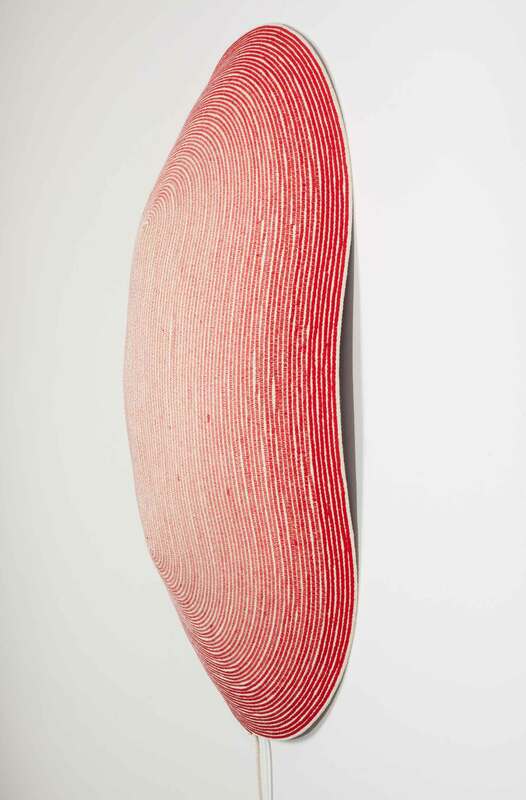 This is the work that really intrigues and excites me because conventional boundaries are deliberately blurred. Is it art? Is it furniture? Is it functional? Is it decorative? 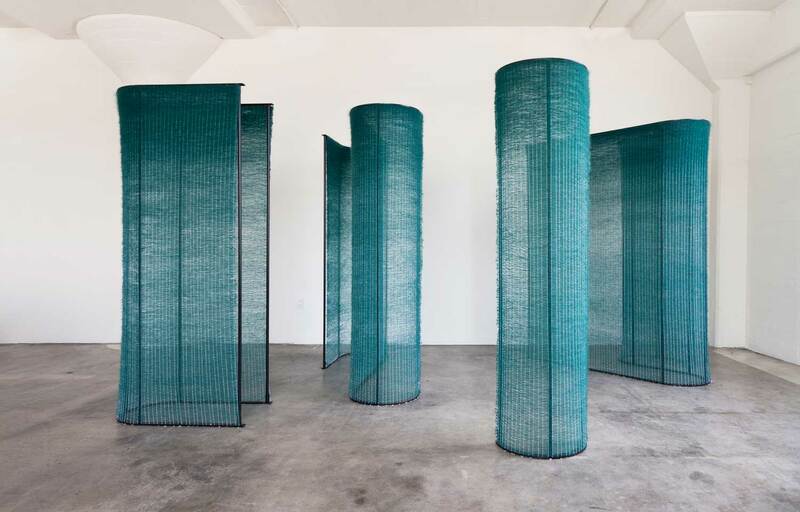 Among my favourites were the immersive experience of the woven partitions Black Interior and Four Teal Walls by Mimi Jung. The partitions explored ideas around introversion and extroversion and how one seeks their own inspiration and energy. Artist and designer Doug Johnston presented new works that explored coiling and stitching techniques that transcend the archetypal ideas of this medium and evoke a sense of play and improvisation. 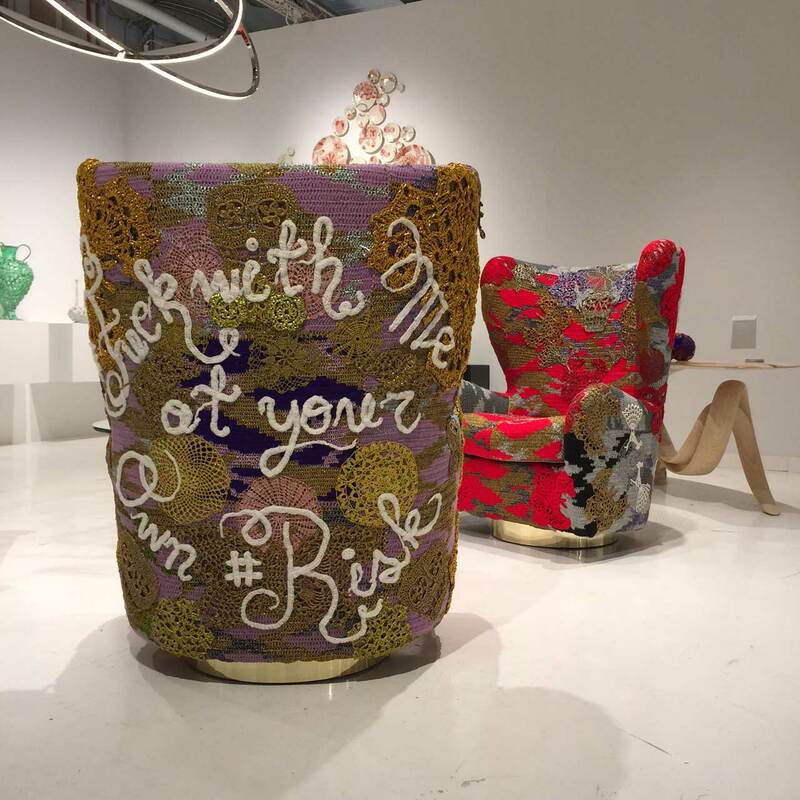 Todd Merrill Studio focused on some thought-provoking pieces, Swivel Thrones was a collaboration with renowned crochet artist OLEK; the works featured hand-crocheted messages, in silver and gold threads, which adorned the brightly coloured and oversized chairs. 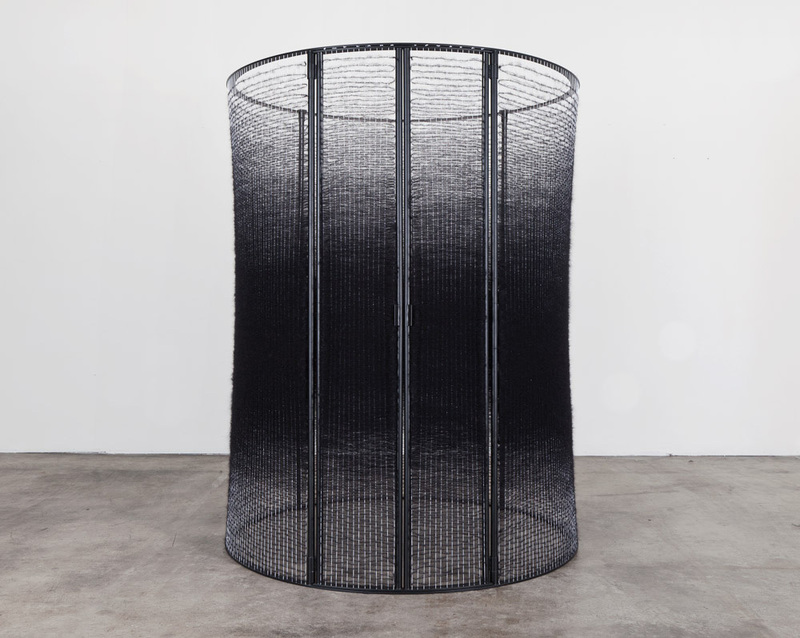 Black Interior by Mimi Jung at Collective Design Fair. Four Teal Walls by Mimi Jung at Collective Design Fair. Doug Johnston at Collective Design Fair. 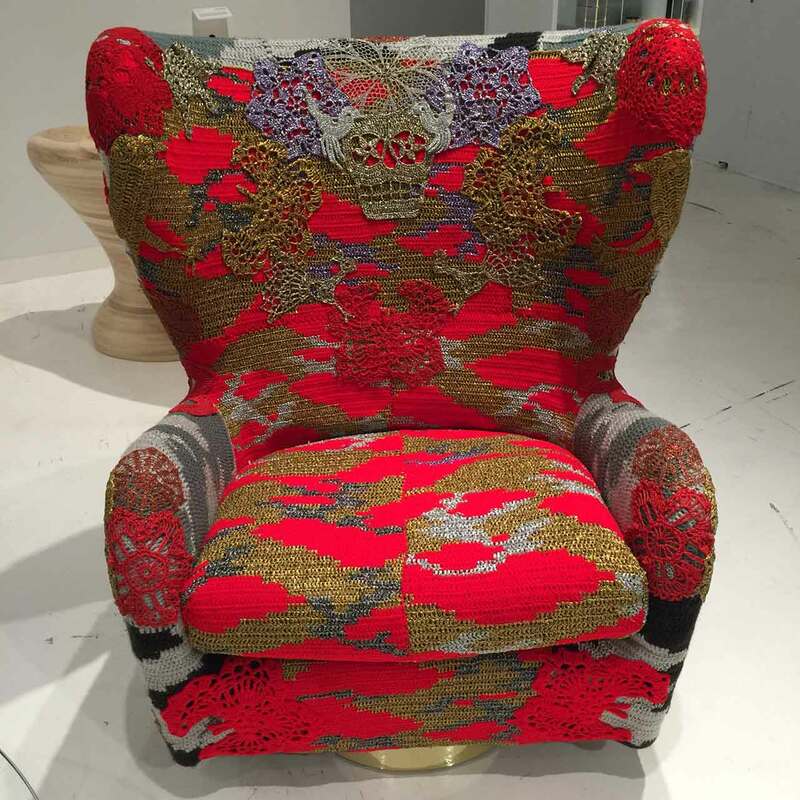 Todd Merrill Custom Originals x OLEK at Collective Design Fair. In between satellite fairs, I had the opportunity to visit showrooms that were independently presenting new work as a part of design week. 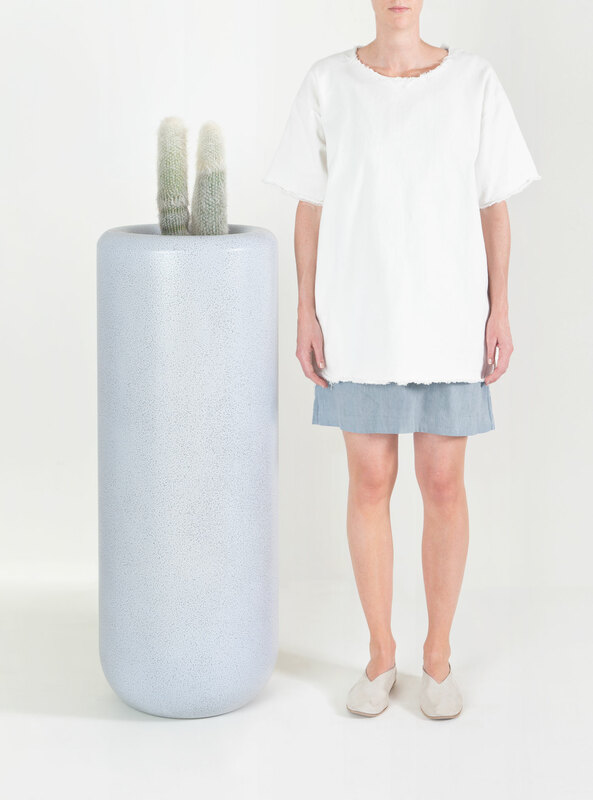 The clever and always interesting showroom Matter, presented their new 2015 Matter-Made Collection with collaborations by Phillipe Malouin, Vonnegut Kraft, Henry Julier, Visibility, and Ana Kraš. 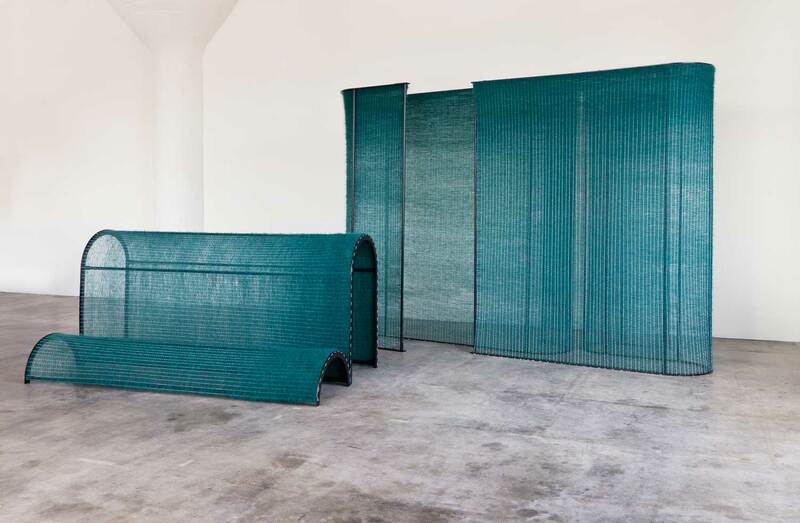 The new Slon Series by Ana Kraš utilises two forms, a tube and a slab, to create limitless variations, while the Matter-Made Landscape Lighting System, inspired by the Guillin Hills in China, reflect a distinct undulating silhouette (still waiting on this image—if we don’t get this in time, feel free to delete). David Weeks, the NYC lighting heavyweight, surprised us this year by adding some new finishes to his standard neutral palette. A new brushed brass and grey gloss have given a whole new dimension to some of his classic work. Toward the end of my trip I popped into the new Colony showroom to see what all of the fuss was about and, to be honest, it was a true delight. Its unassuming grungy entrance from the heart of Canal Street is juxtaposed with a second-floor white-washed interior. 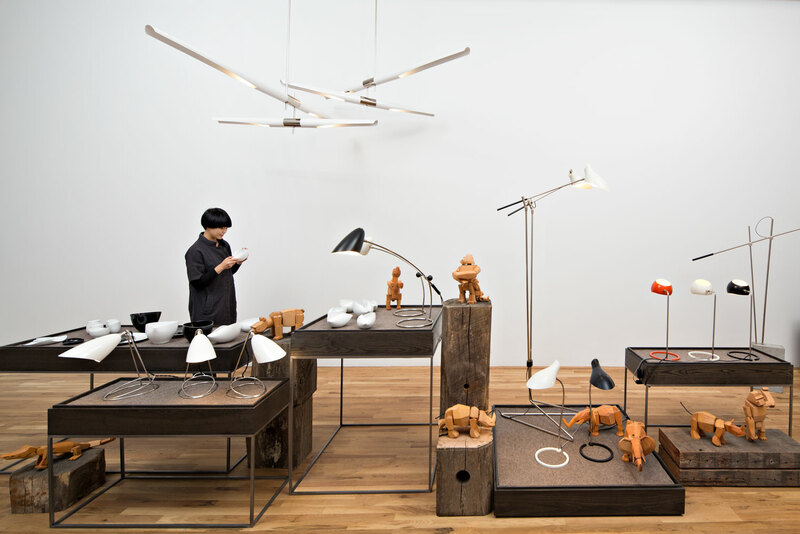 A selection of works from some of the best designers/makers in NYC included Chen Chen and Kai Williams, Megan Callahan, Farrah Sit, Allied Maker, Vidivixi and many more. It’s worth the visit if you find yourself in that neck of the woods. 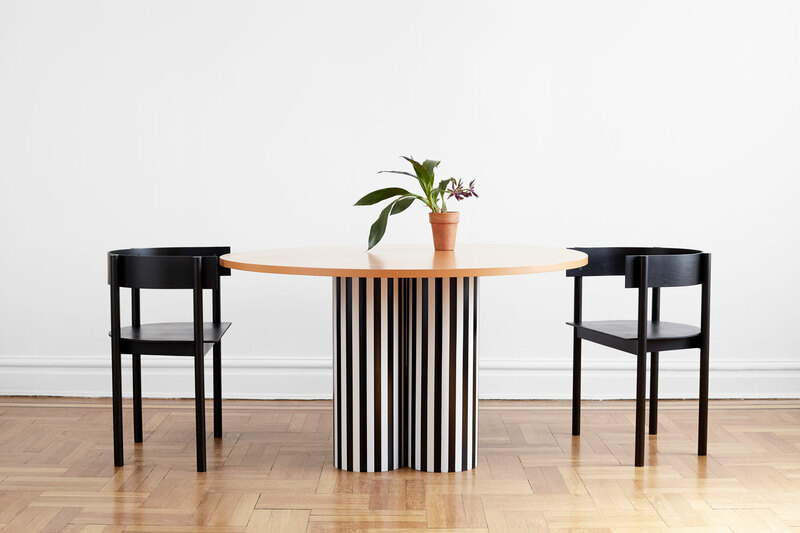 The Typecast chairs by Phillipe Malouin and the Ana Kraš Slon Table for Matter-Made. Available through CRITERIA. The Kopra and Kopra Burst by David Weeks Studio. Available through CRITERIA. Rachael Fry is owner and curator of CRITERIA, a furniture, art, objects showroom and gallery in Melbourne. She has way too many design interests and styles to count, which is why her role as a purveyor of the beautiful and facilitator of the interesting, suits her just fine. She is a fan of the art-meets-design movement and subscribes to the idea that we can change the way people feel, behave and think in a space by changing the furniture and lighting–almost like brainwashing! When she is not in the showroom, she is on the hunt for the next interesting piece to bring through the gallery doors. ‘Lithic’ Modular Light Installation by Talin Hazbar. Interview // Sydney Architectural Photographer Richard Glover. J’aurais adoré pouvoir suivre cet évenement! Merci pour ce très beau post!